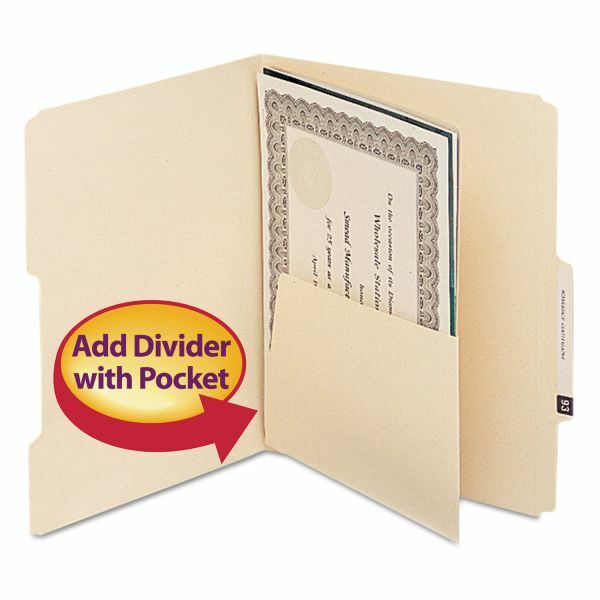 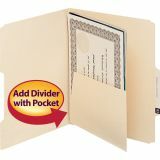 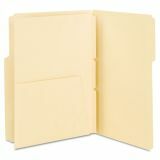 Smead MLA Self-Adhesive Folder Dividers with 5-1/2 Pockets on Both Sides, 25/Pack - Self-adhesive dividers transform standard folders into divided or classification folders. 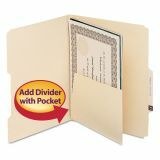 Pocket on front and back of divider provides plenty of room for storage. 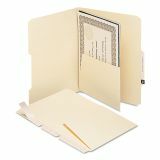 Heavyweight manila.